“Is Chuck E. Cheese a mouse or a rat?” I asked my son Smoke as we pulled into the parking lot. I was hoping for a reaction and I got one. “He’s a mouse,” Smoke said, indignant. 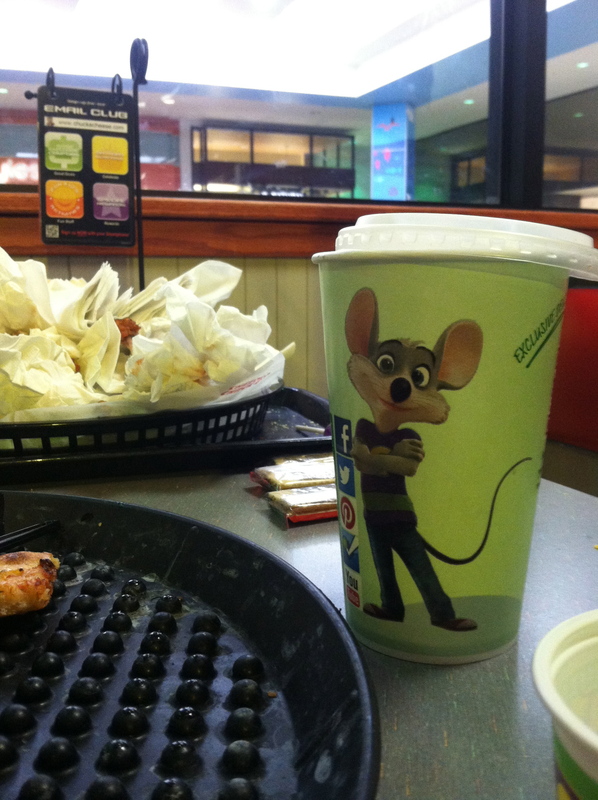 “How could you ever think he’s a rat?” It was Smoke’s first visit to Chuck E. Cheese’s—we had come for a birthday party—but already he felt attached to its icon, the giant grinning mouse. I’d been to Chuck E. Cheese’s once before, long ago, when I was barely older than Smoke is now. At the time, Chuck E. Cheese’s was a relatively new chain and locations were few and far between. It was the type of place my parents never would have entered voluntarily, but a friend was having a birthday party, and so we made the forty-minute drive. My memories of Chuck E. Cheese’s are remarkably wholesome and perhaps not entirely accurate. The space was vast and dimly lit; there were giant tunnel slides; there was a ball pit; there was Chuck E. Cheese himself, waving and offering every kid the same giant smile. It didn’t matter whether you were popular, a bruiser, or a loser. Chuck E. Cheese loved all the kids equally. He was kind of like Jesus that way. Before I even left, I longed to return. I dreamed about returning for years and remembered the experience fondly every time I saw an ad on television. But, of course, we never went back. It hadn’t occurred to me that the franchise would have evolved in the twenty-nine years since my visit. So I was surprised, upon entering, to find that the Olympia Chuck E. Cheese’s was not identical to the Chuck E. Cheese’s I had visited in Danvers Massachusetts in 1985. It was one brightly lit floor, no bigger than your average mall boutique. 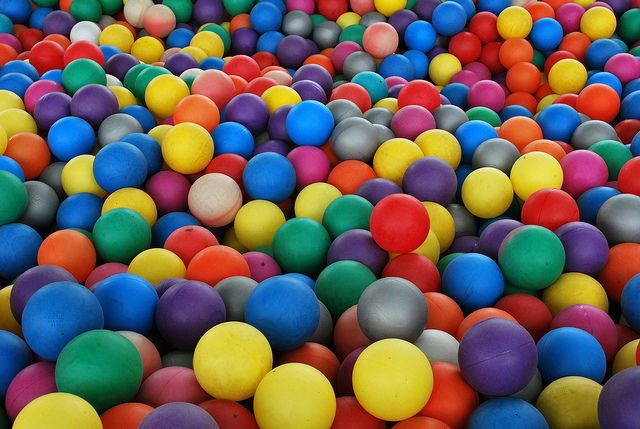 There was no ball pit, just an eating area with rows of tables, and a single but elaborate slide tucked away into a corner. The rest of the space was filled with games. I hadn’t realized that Chuck E. Cheese’s is essentially an arcade, a Las Vegas for kids but with terrible food and mouse-centric decor. There’s a commercial from the eighties where Howie, the birthday boy, is systematically ditched by all his friends because there are too many fun things going on to choose from. This turned out to be pretty accurate. When we arrived, the birthday boy’s mom handed Smoke a cupful of tokens, and he was off and running. The birthday boy himself was a new friend and Smoke had hoped to play with him at the party but, as it turned out, we only spotted him once or twice in passing. A couple of times, Smoke tried to catch his friend’s attention, but he was engrossed in a game of air hockey, and replied with a dazed nod. 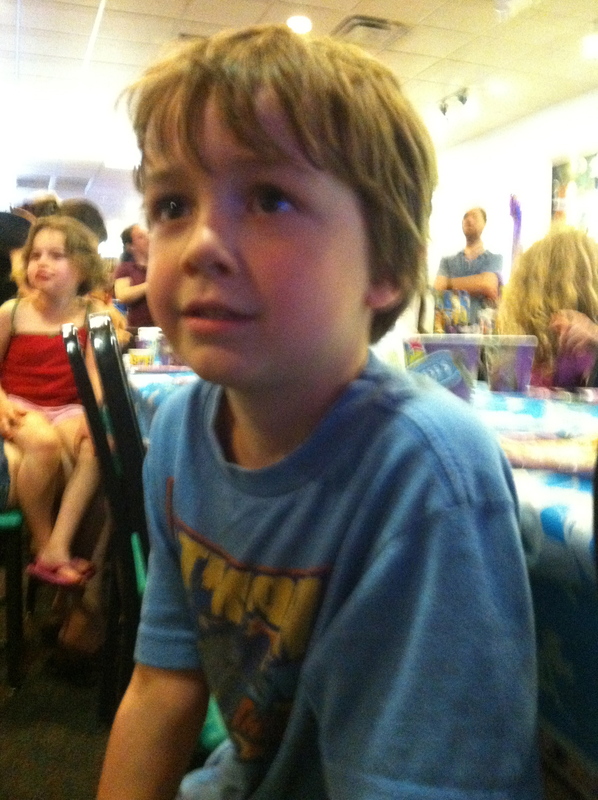 Smoke, too, was a little dazed while watching Chuck E. Cheese perform the birthday song. In a way, the whole event felt like an induction into the world of capitalism. You get your cup of coins and spend an hour or two playing games. Like in Vegas, some are games of skill, and some are games of chance. You are rewarded with tickets, and the number of tickets you receive reflects your combination of skill, luck, and strategy. The goal then of gaming becomes not so much to have fun (that’s a by-product) but to Win The Most Tickets. In the end, it’s absurd how little you can buy with the tickets. All of the prizes are crap. At the end of the night, Smoke squandered his fifty tickets on a small blue plastic airplane. “What does it do?” he asked the teenage clerk behind the prize counter. “It doesn’t really do anything,” she answered, not unsympathetically. If you think about the process from beginning to end, it’s ridiculous and surreal in the same way our whole capitalist system is ridiculous and surreal. You show up and exchange real money for fake money, which then turns into even less valuable tickets, which you then exchange for a prize that has far less value than your initial investment (i.e. ten dollars for thirty-three tokens). I guess this isn’t so different from what happens when I go to work and pay someone a hefty portion of what I earn to watch my kids, and then at the end of the day I’m too burnt out to cook dinner so I spend more money on take out, until the earnings that I’m left with are far less valuable than the time I’ve given. In fact, just writing this is reminding me of one of Smoke’s favorite activities currently, which is to throw increasingly hard arithmetic problems my way. “Mommy, what’s two plus six?” “Mommy, what’s two plus six plus twenty?” “Mommy, what’s two plus six plus twenty plus one hundred plus thirty-two plus twenty-one?” My brain spins but I try to keep up because somehow it seems important. If it sounds like I’m complaining, hold on. As it turned out, the time I spent in the Chuck E. Cheese arcade was actually the best time I spent with my son all week. Highlights included throwing lightweight plastic balls (you know—the kind that would have been in the ball pit) at mosquitoes and aliens as they passed across a screen. At the other end of the arcade we found a set of skee ball machines. For one token, Smoke and I could take turns rolling the ball up the ramp and both of us scored nearly every time. It was easier than bowling, and more satisfying. Together, we felt like winners as we watched the skee ball machine spit out our reward of three tickets (the equivalent of three cents). We high-fived, and somehow I felt that I regained some of the time I’d lost at work this week. An arcade might not be the ideal place for a group of kids to spend quality time together, but it was a great place for Smoke and me to cut loose. In fact, as it turns out, I’m so into fake gambling that I even spent a few of Smoke’s tokens when he wasn’t looking. I couldn’t stop myself. 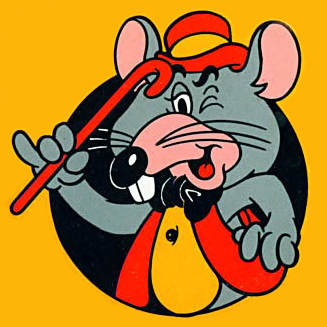 By the way, it turns out that Chuck E. Cheese was originally a rat. It wasn’t until recently that he was re-branded as a mouse. So when I asked Smoke the mouse vs. rat question, I wasn’t just being a jerk. I was remembering the original Chuck. As Smoke and I left the party that evening, he clutched his blue airplane that did nothing and wondered when we could go back. “Sometime soon,” I reassured him, but that wasn’t specific enough. It was a Thursday. “I guess we could go this weekend,” I offered. Today was Saturday. We made it to Chuck E. Cheese’s before lunch. Thank you for this gorgeously written piece that is right where I am this week. Wow.. so many layers to this post… who knew that a story about a visit to Chuck E. Cheese would lead to an exploration on capitalism and back. Really wonderful. And that you two went back the next day! 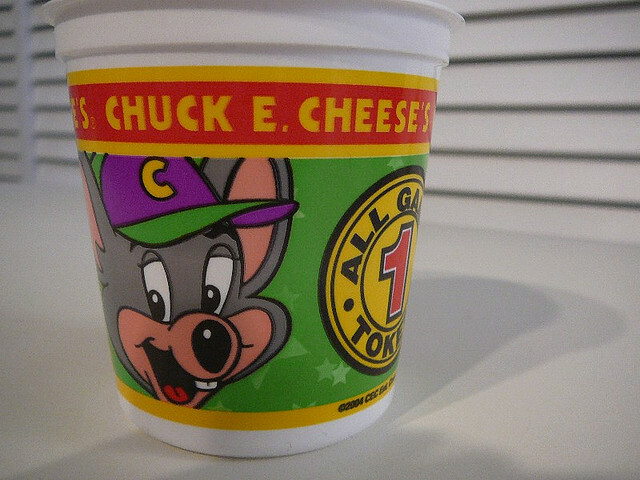 When I first moved to America I remember thinking Chuck E. Cheese was heaven… we didn’t have places like that in the Philippines. I loved going there.. and nice to know that years later, even in the age of x-box or whatever it is people play these days… that the old rat has still got game. Yeah, I was surprised at how much fun it was for me, and I’m glad my son liked skee ball which is so wholesome compared all of the high-tech games. Skee ball is one of the greatest pleasures of my life. Thank goodness Colllin took a liking to it as well. There is no greater feeling than sinking a ball into the 50 point hole.